Hi guys! 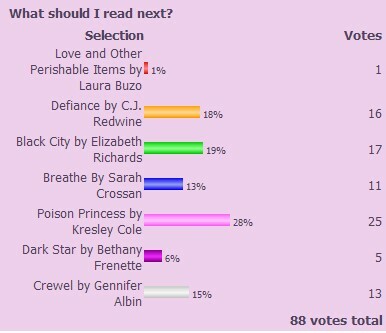 I'm sorry I didn't post last week, but blogger screwed up the voting poll. People kept voting, and at one point I got as much as 70 votes, but then Blogger started restarting my stats -_- So I was forced to find a different - more reliable - voting widget. Sorry about the delay! 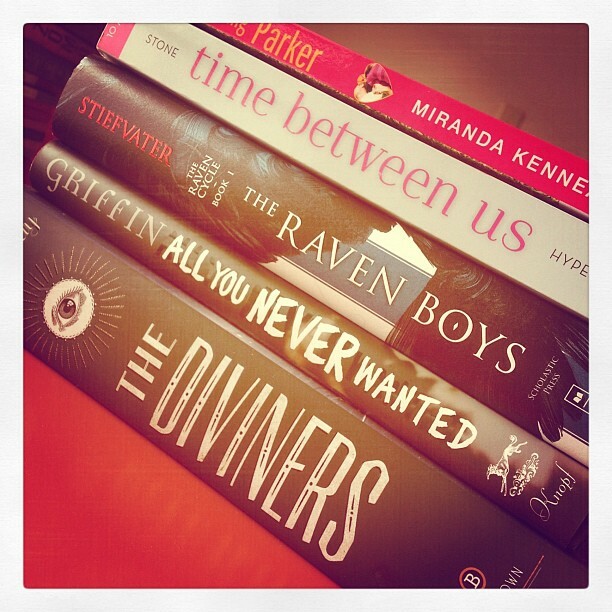 The books that I've read in the past two weeks thanks to your votes! Huge thank you to everyone who voted!!!! Here's what I picked to read this week! I also decided to read The Archived, Shadowlands and Dualed to get a little bit ahead in my review schedule (these are all 2013 galleys). 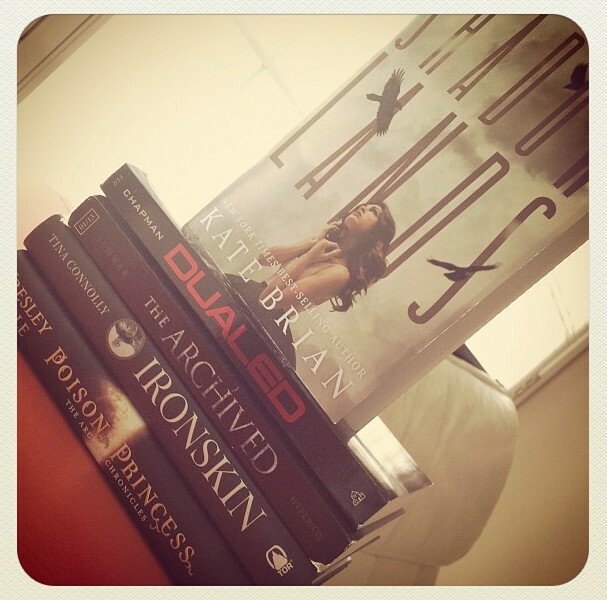 And I added Ironskin to the list, mainly because it's a review copy I still need to get to and, well, it looks gorgeous! :) Wish me luck? I'm almost done reading Shadowlands and let me just tell you - it is absolutely AMAZING! Get yourself a copy asap!! Voted for Touch of Death! Hm, maybe I should let other people pick my reads too. So much quicker than choosing on your own! I haven't read any of those, so I am excited to read your reviews! I have read Touch of Death already and really enjoyed it. As for this weeks reads, I think you will really like Ironskin. It's a great book! I want to start reading Hysteria and If You Find Me right away too, but I have some November and December books I need to read first. I have heard great things about Poison Princess!